A former owner of a Ford Explorer says a blood test proves the SUV poisoned him. 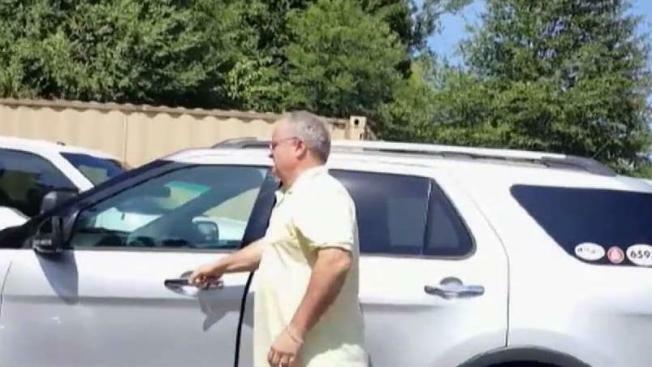 Steve Simmons of Raleigh, North Carolina, said he owned his 2015 Explorer for just 15 days before he went to the emergency room. A blood test found carbon monoxide poisoning, he said. “From the parking lot of the hospital, I called up the Ford dealer where I bought it and said, 'I'm bringing back your vehicle,’” he said. “It could have killed me." He refused to drive the Explorer again, and the dealer allowed him to trade it in. He launched a website where other frustrated Explorer owners can share their carbon monoxide stories, and he's received dozens. After News4 questioned Ford about carbon monoxide leaks last year, the company announced it would offer free repairs for 1.3 million Explorers, model years 2011 through 2017. But numerous customers said the fix Ford is offering isn’t working. The company insists its vehicles are safe, saying its "investigation and extensive testing has not found carbon monoxide levels that exceed what people are exposed to every day." The National Highway Traffic Safety Administration said it is looking at the exhaust manifold as the possible source of the odor. The government is in the midst of what's called an engineering analysis, which according to NHTSA, is just one step away from initiating a recall. Zelda Shields of Waldorf, Maryland, said she took her Explorer in for the free fix after her grandchildren were getting sick in the car. Mechanics took it a step further and also replaced her exhaust system. Ford said the repair was part of an earlier fix and will be offered if needed. Shields said she and her grandchildren no longer smell the fumes and no longer feel sick in the car. Reported by Susan Hogan and edited by Perkins Broussard.